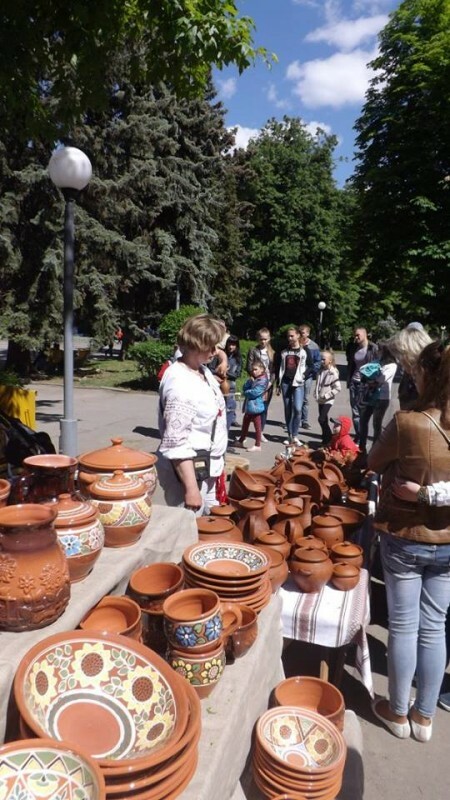 On Saturday, May 18 during the celebration of the European Day, the XI Festival of ethnic crafts and traditions “Origins” took place in the very heart of Vinnytsia. 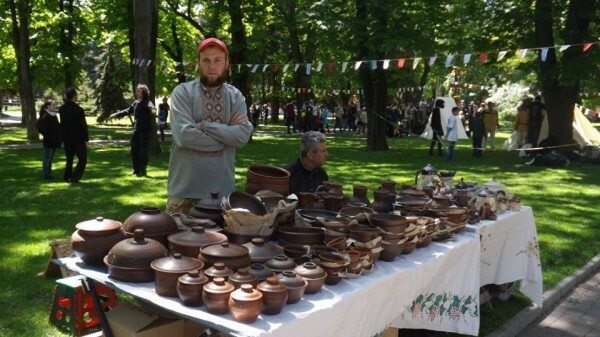 More than three dozen craftmen participated in the fest. It was especially pleasant to notice that its area of interaction widens each year. This time the participants came from different regions, from all over Ukraine, – from Lviv, Odesa, Rivne, Uzhgorod and many other cities. That sure proves that the Festival becomes more and more popular! 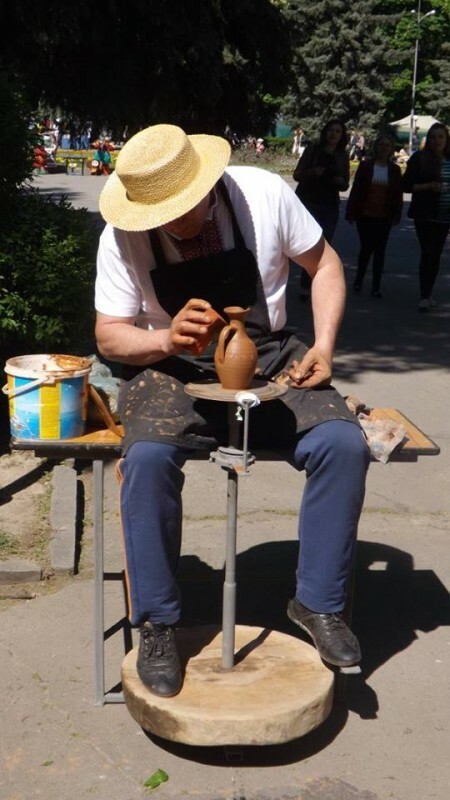 Both, guests and residents of Vinnytsia used their chance to enjoy the work of traditional craftsmen, as well as the opportunity to make one themselves. 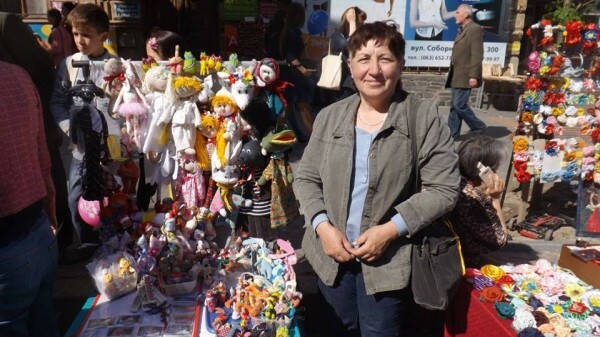 A variety of different kinds of arts and crafts had been presented at the mini-exhibitions: pottery, embroidery, glass beads jewelry, author’s and authentic textile dolls, soap making, wood carving, glassblowing and many others. The artistic studio was friendly opened for those, who wished to take part in the master classes, to practice pottery, reed mace and willow braiding, and those who loved to get a glimpse of the ancient Ukrainian arts and crafs, to feel the solid connection between thousands of generations. 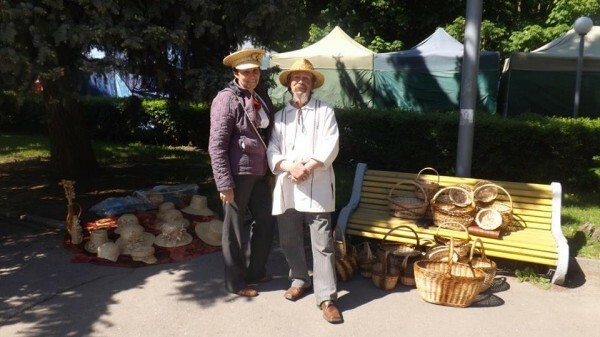 All the master classes were performed by the best artisans of traditional crafts. The photo-exhibition, showing all the ten previous festivals, brightly pictured the talants and summarized the craftsmens’ works in it’s own way. Ukrainian folk songs, performed by the music group under the guidance of Leonid Lutsyshyn added a remarkable fleur to the whole celebration. All the Festival’s event staff hopes, that the XI Festival of ethnic crafts and traditions “Origins” became a true holiday for all those, who took part in it!